Physical therapy is designed to help patients reduce pain and improve or restore mobility, our PT department, in many cases, is able to achieve our patients’ health goals without expensive surgery. We often reduce the need for long-term prescription medications and their side effects. Physical therapists teach their patients how to prevent or manage their condition so they will achieve long-term health benefits. At the Advanced Medical & Wellness Center our physical therapy department will examine each individual and develop specific plans to promote mobility, reduce pain, restore function, prevent disability, and stabilize our patients. We provide a wide variety of methods to aid in recovery, including active and passive mobility stretches and exercises, passive modalities such as ultrasound, electric stimulation, laser therapy, dry needling, aquatic therapy in a heated pool, iontophoresis, taping, gait analysis, strengthening programs, and much more. 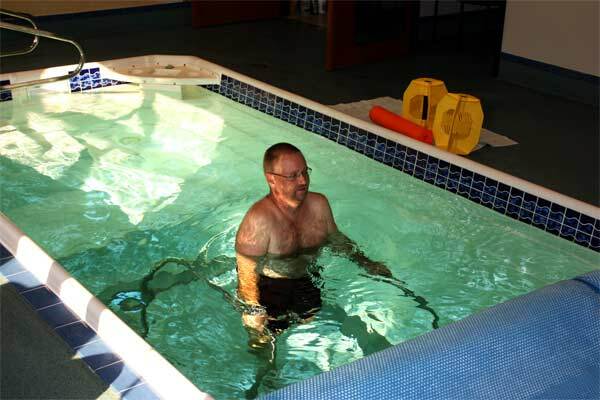 One aspect of our PT department we are particularly proud of is our heated therapy pool! 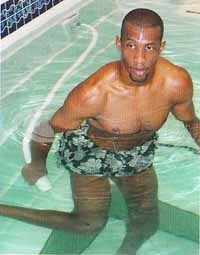 We leaped in to the 21st Century with our Underwater Treadmill - We use a Hydroworx 1000 Aquatic Therapy Pool in circuit with advanced rehabilitation equipment. 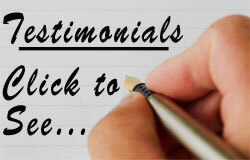 We are the Miami Valley areas most advanced rehabilitation facility. The Hydrowork 1000 is a revolutionary state of the art therapy system that allows the patient to be in a weightless environment. It can place a pre and post-surgical patient into an environment to where there is less stress in joints and muscles and recovery time is shortened. Rehabilitation can begin much quicker with this passive and active range of motion. Hydroworx Leg Massage Deep tissue massage - The water temperature at 93 degrees allows for the reduction in spasms and increased circulation. The pool is equipped with a water massage producing up to 400 gallons per minute of deep tissue massage. The treadmill is a 7.5 m.p.h. treadmill under water, which the jets can pump 400 gallons per minute for resistance. This is unique to the Miami Valley area. We focus on wellness-oriented programs to keep you active and healthier, doing the things you want to do with your life!